Welcome to MOLLY MAID of Southern Maryland. As a locally owned and operated house cleaning company, we've been cleaning countless homes on the Western Shore of the Chesapeake Bay for over a decade. We specialize in professional maid services in the cities of Prince Frederick, Waldorf, Upper Marlboro, Huntingtown, and the surrounding areas. Our Prince Frederick home cleaning services are customized to meet the needs of customers. From scrubbing the bathroom tile grout to focusing on the kitchen appliances, our insured house cleaning professionals will give you the high-quality cleaning you’ve been waiting for. We provide a clean you can trust. No contracts. No hassle. Just a clean, comfortable home from the Southern Maryland maid service of choice. At MOLLY MAID of Southern Maryland, we live our code of values by respect, integrity, and customer focus while having fun in the process. Part of demonstrating those values is giving back to our local community. 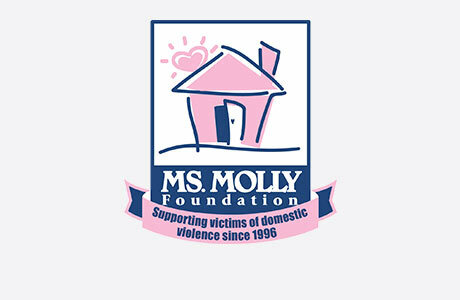 We are proud members of the Calvert County Chamber of Commerce, we support the Ms. Molly Foundation, which is a cause that supports victims of domestic violence. We also support The Brem Foundation, which is helping to eradicate breast cancer as a life-threatening disease. Still have some questions about hiring a professional cleaning company for your Southern Maryland home cleaning? Here are some of the most frequently asked questions regarding our maid services: What makes you different from your competition? We begin our relationship by meeting with each potential client during our free in-home estimate to learn how to exceed their expectations. Are the people you send employees? Every person sent to your home is an employee who is insured, uniformed, in a company logoed car, and carrying all the necessary supplies and equipment to clean your home. What time will you be at my home for services? We can arrange to give you a window within in your preferred time-frame. Just let us know your preference and we will work hard to provide your team at your convenience. If you have additional questions about our Southern Maryland maid services, please feel free to give us a call at (410) 656-6229. Request a free in-home estimate and learn why your local Molly Maid has been the most trusted name in house cleaning for over 10 years.